Entrance to 2017 exhibit "No Justice, No Peace: LA 1992" at the California African American Museum. On April 29, 1992, the Los Angeles area erupted into five days of widespread civil disorder, looting, property destruction and violence, ranging from the Hollywood Hills to Long Beach. The events were sparked by the acquittals of four LAPD officers tried for the videotaped beating of Rodney King after a traffic stop. Sixty-three people ended up losing their lives and 2,383 were injured. Police arrested 12,111 persons. More than 3,600 fires were reported and an estimated $775 million ($1.4 billion, 2019 value) in damage, including more than 1,000 buildings destroyed or damaged. Some assessments held that, of all businesses destroyed or looted, at least 60 percent were owned by Korean Americans. Some of the aftermath of the riots in Los Angeles, 1992. Photo by Mick Taylor from Portland, USA, courtesy of Wikimedia Commons. More than 16,000 law enforcment officers were mobilized. The California National Guard deployed about 10,000 troops into the Los Angeles area to help restore order, joined by 3,500 federal troops. 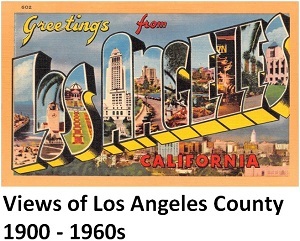 This was the first time since 1968* that federal troops were sent into a U.S. city to reestablish order and the most significant federal military intervention in the Los Angeles area since the North American Aviation labor strike of 1941. Soldiers of the (Mechanized) Artillery, 40th Infantry Division (California Army National Guard) patrol Los Angeles during 1992 riots. Photo from the U.S. Field Artillery School, via Wikimedia Commons. * In April 1968, due to civil unrest in response to the assassination of Martin Luther King, Jr., federal troops were deployed into Washington D.C., Chicago and Baltimore. One of the U.S. Marine Corps units deployed into the Los Angeles area during the 1992 unrest was the 1st Light Armored Reconnaissance Battalion, commanded by then Lieutenant Colonel John F. Kelly, future White House Chief of Staff to President Donald Trump.